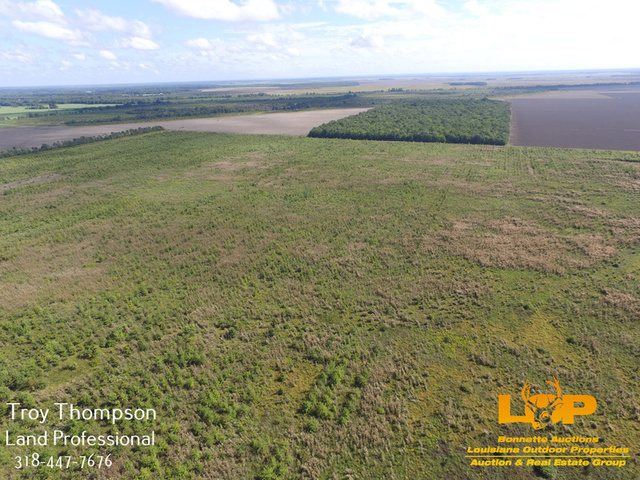 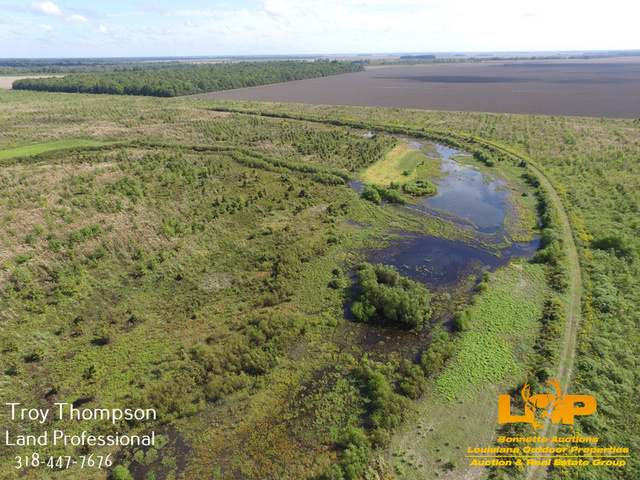 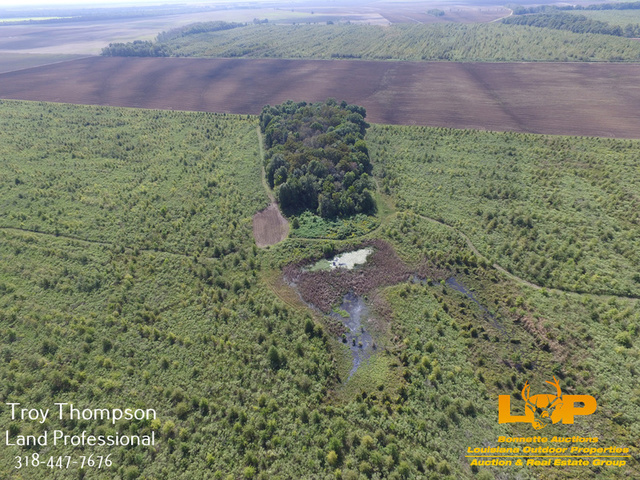 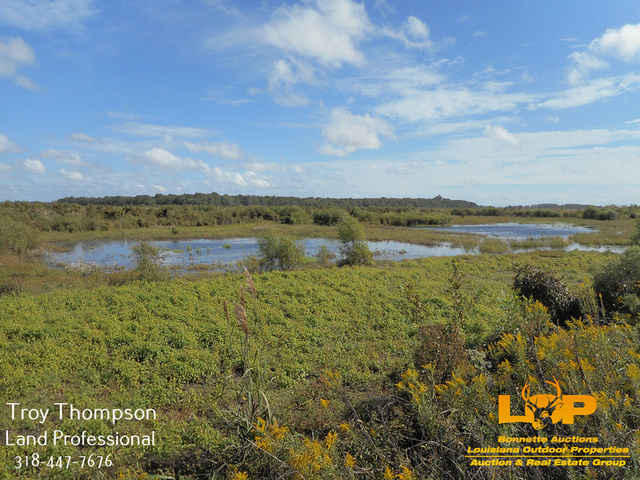 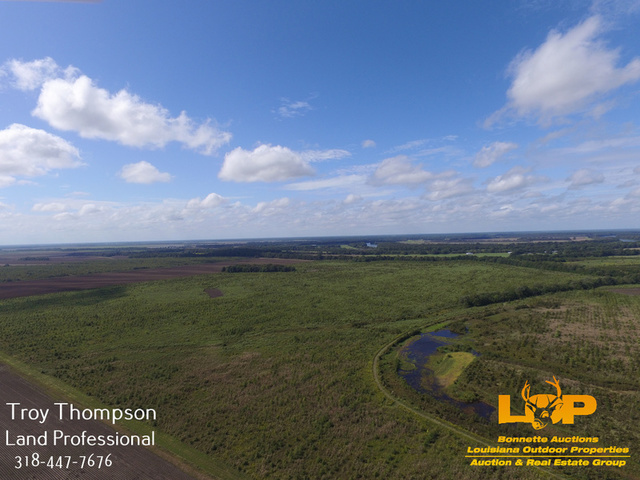 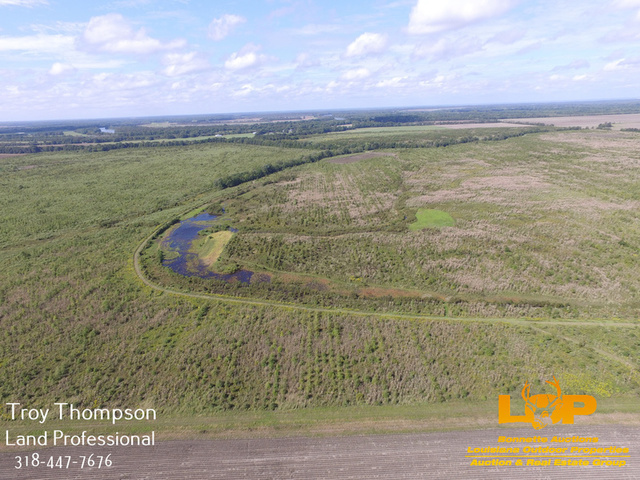 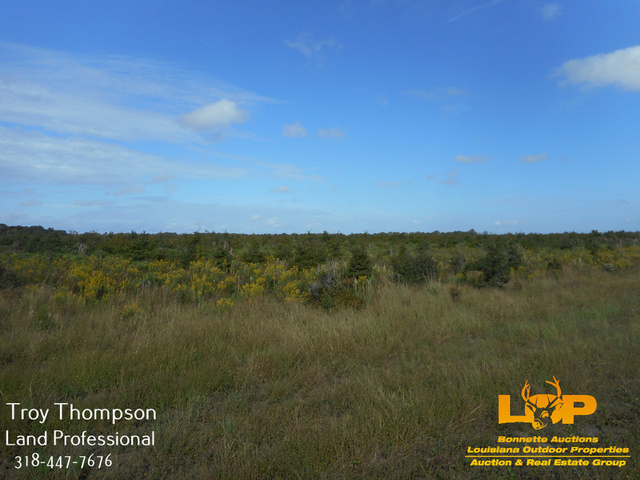 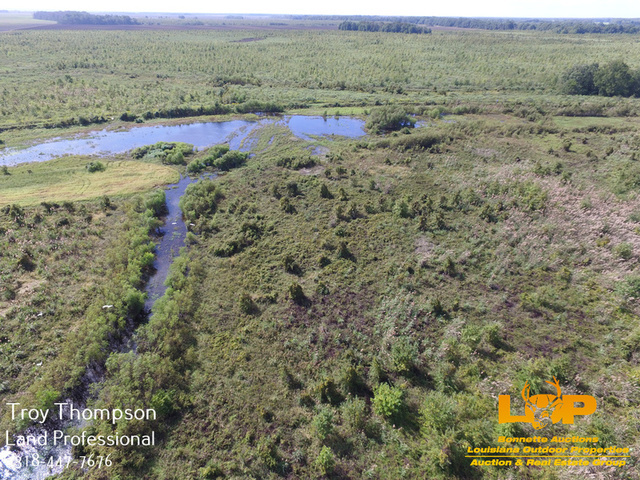 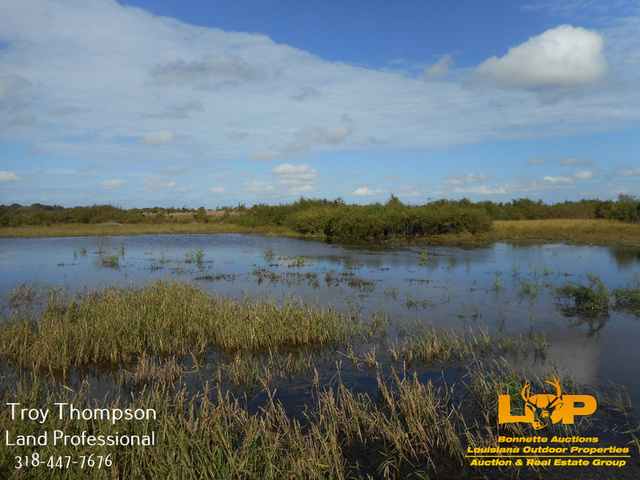 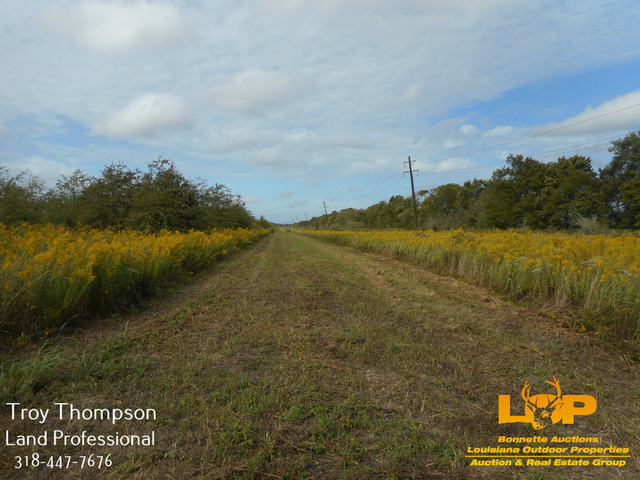 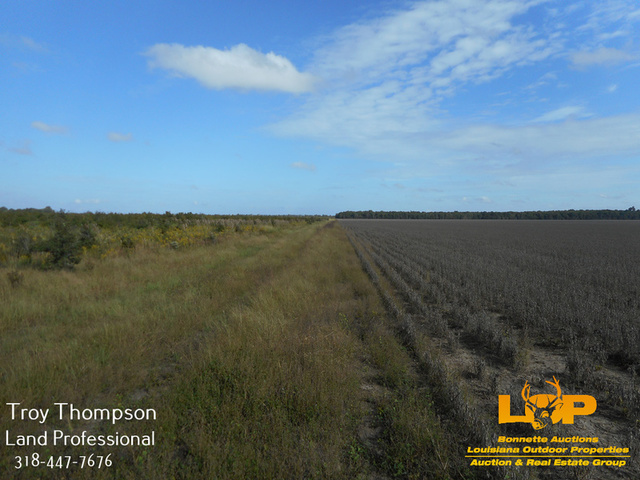 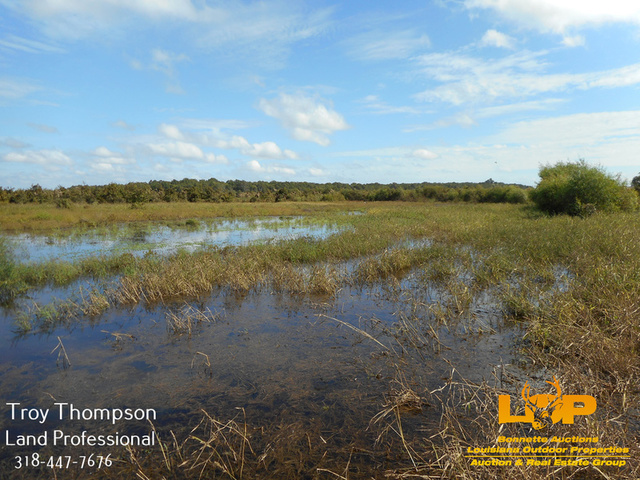 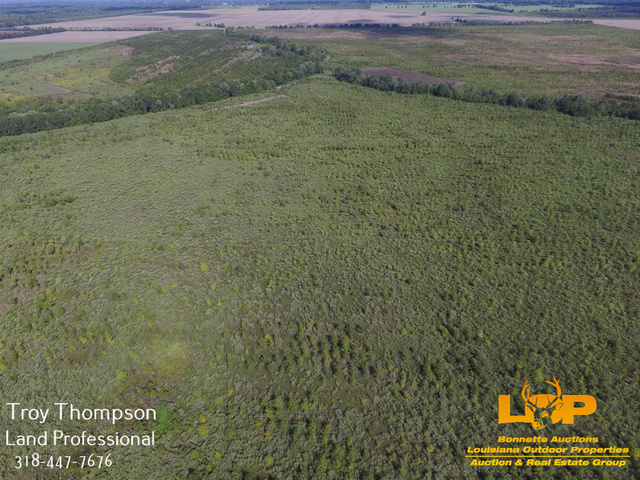 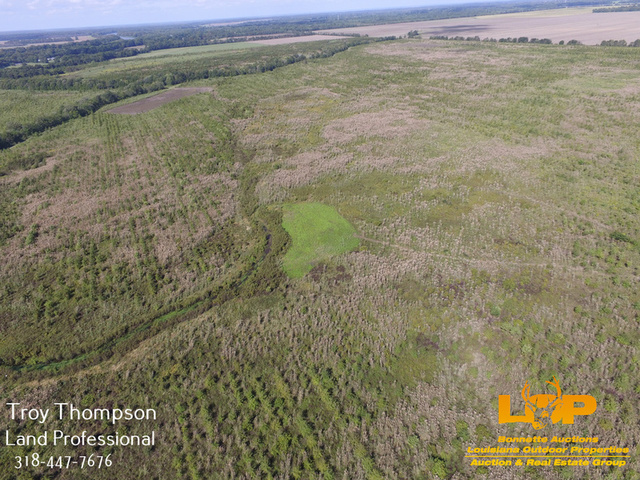 Located a few miles southeast of Monterey, between Eva and New Era, this 585 acre WRP tract offers both deer and duck hunting which is sometimes hard to find in the same property. 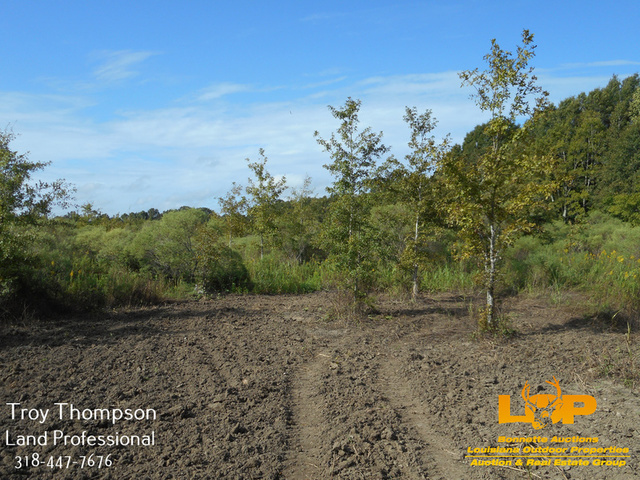 The property has been in WRP for approximately 11 years and the trees are coming along nicely. 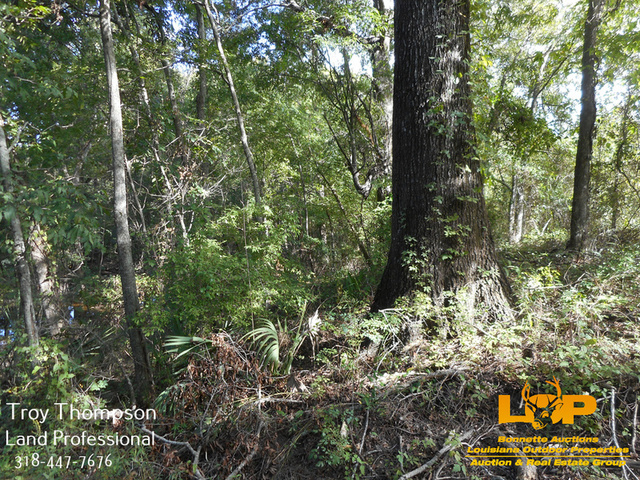 The under story is very thick now and ideal habitat for deer. 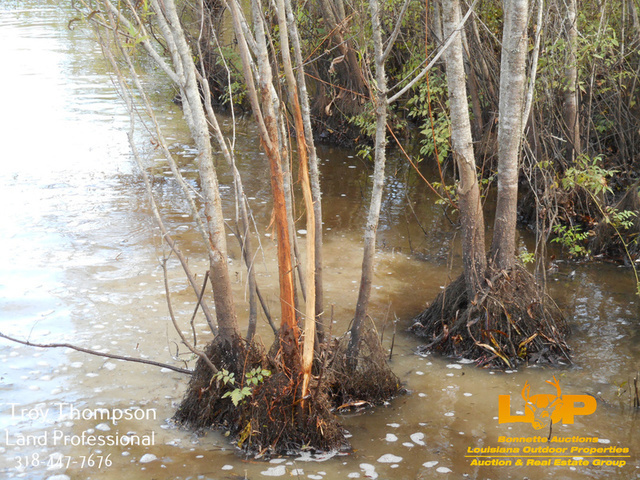 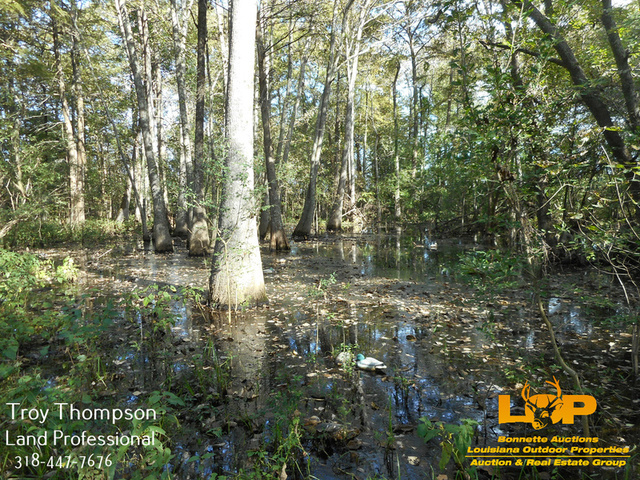 There are some mature mast producing trees along the bayous that run through and along side the property along with a large wooded slough on the south end that would be an ideal wood duck hole. 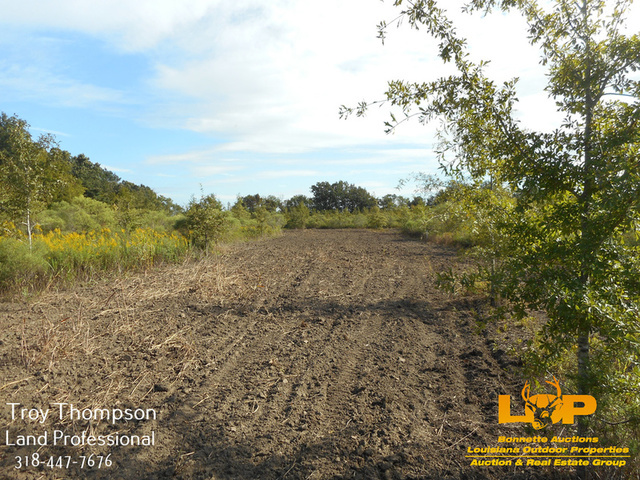 Once the planted oaks start producing it will be an acorn factory. 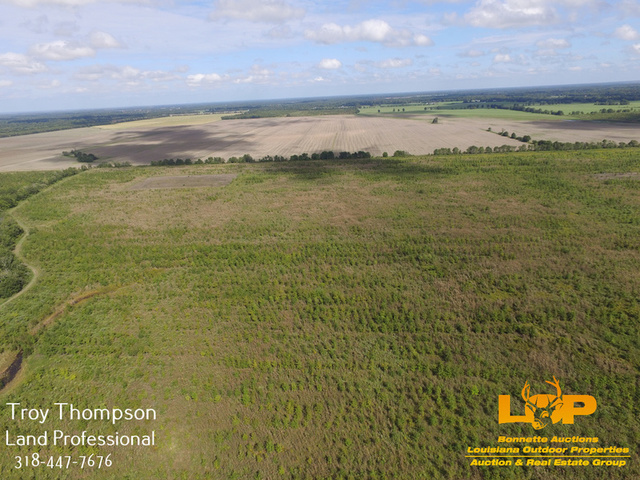 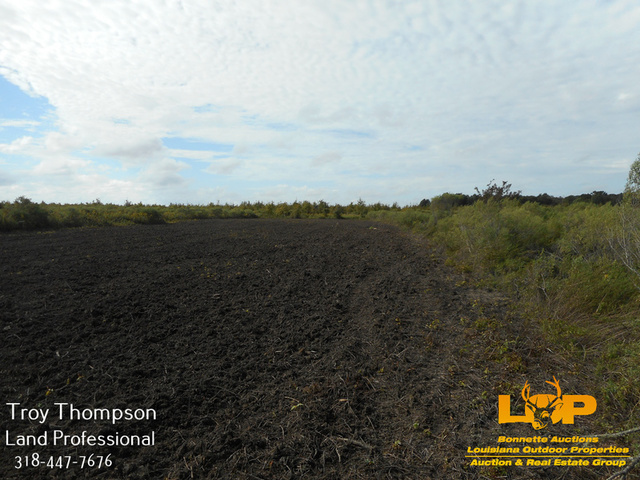 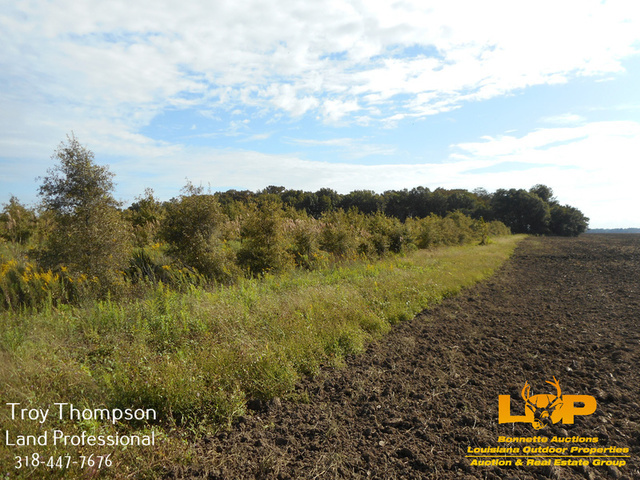 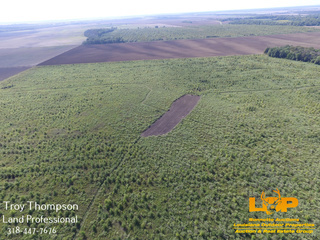 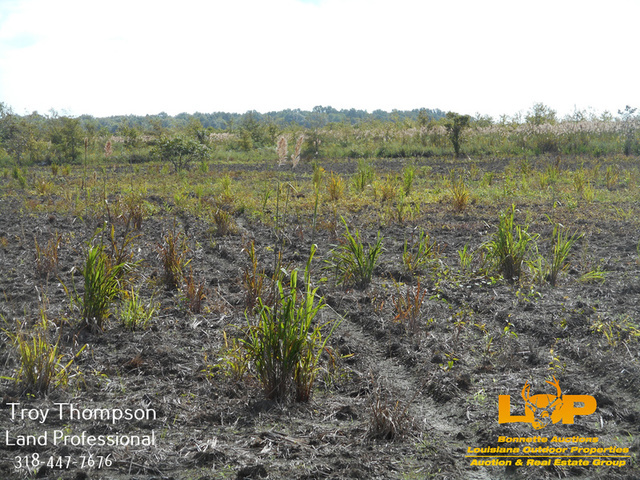 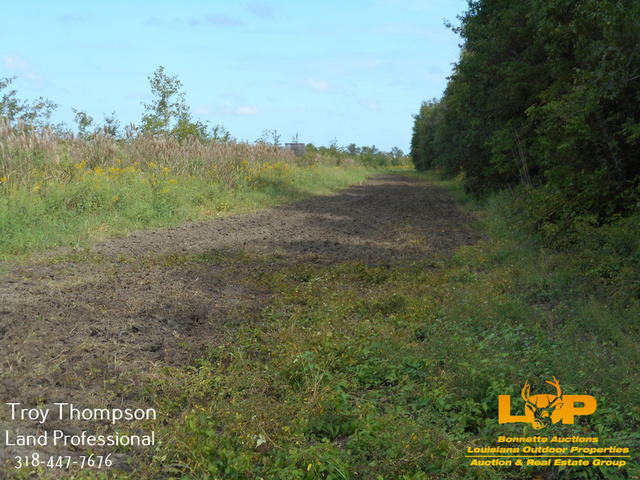 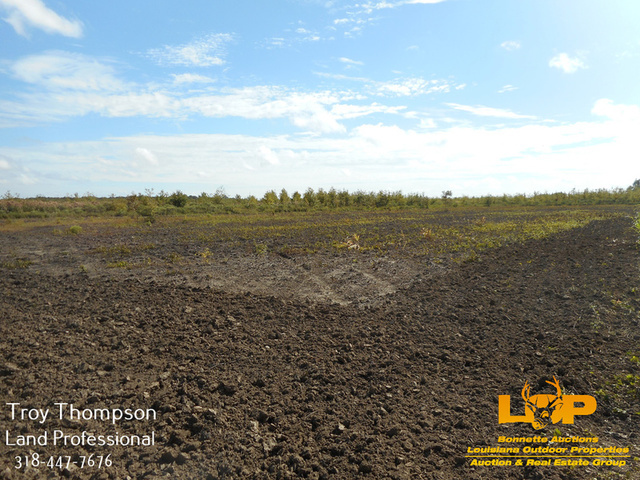 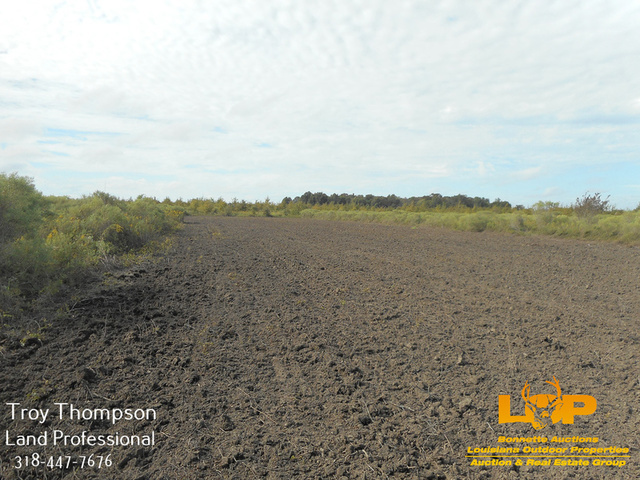 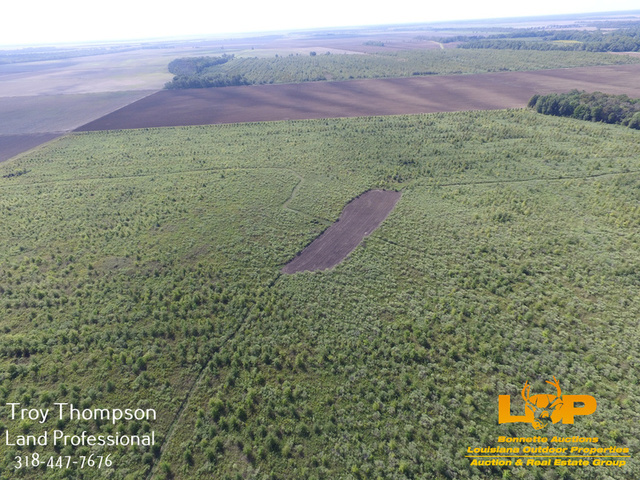 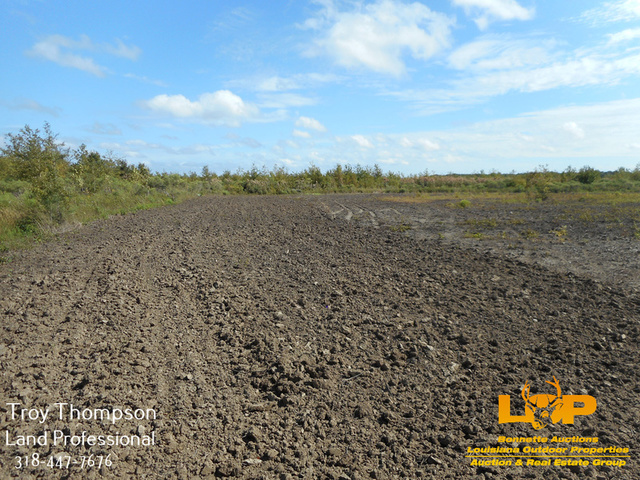 There are 26 acres of food plot in 6 plots that can be planted along with the perimeter roads. 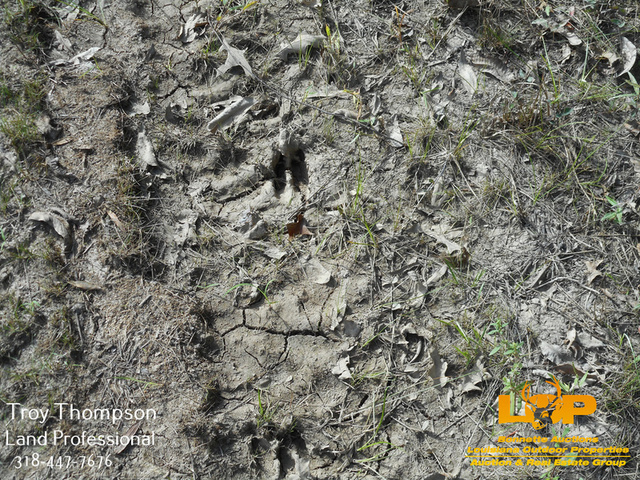 As the pictures show there are some nice deer here and it will continue to get better year after year. 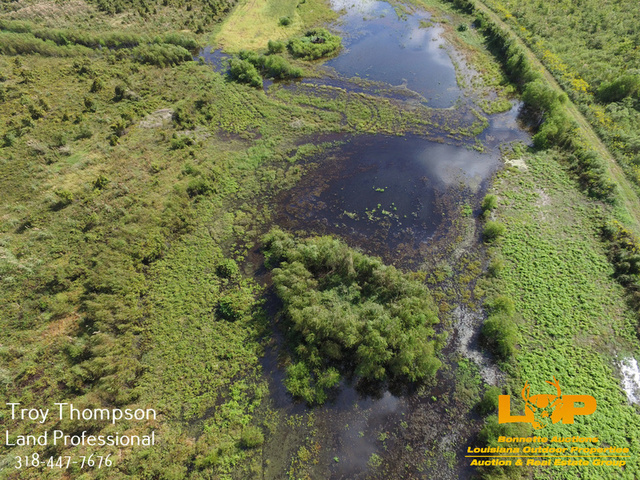 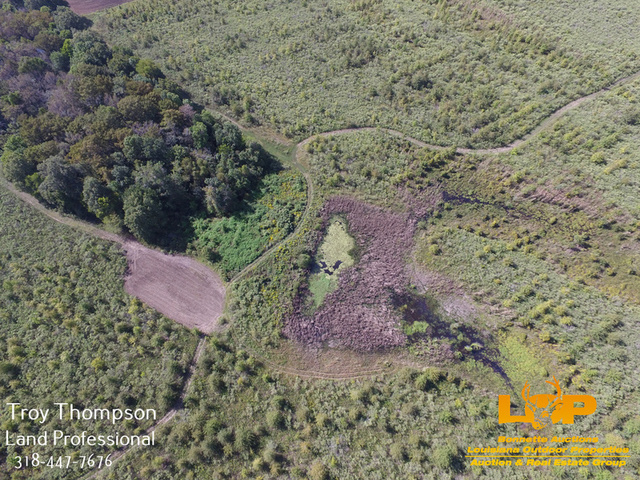 For the duck hunter there are 66.7 acres of shallow water areas in 5 different areas with the biggest one being 50.5 acres and it can be mowed and planted if so desired. 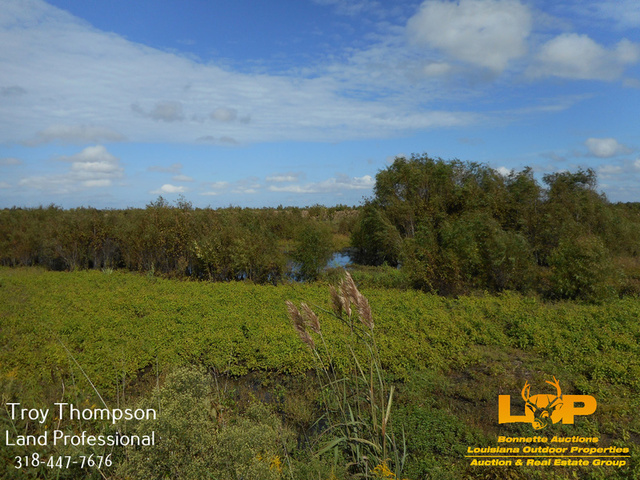 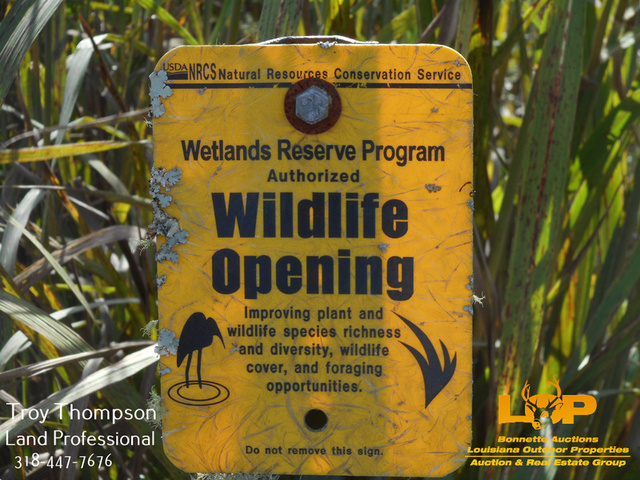 The property is within a 10-15 mile or less radius from Honey Brake, Angelina Plantation, the Mississippi River, Richard K. Yancey WMA, and is almost on the Black River, so the duck hunting action should be great. 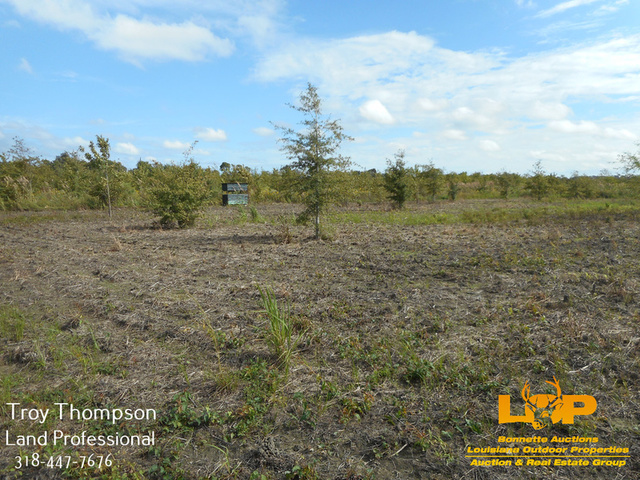 There is not currently a well on the property but there is room to put one powered by its own power unit. 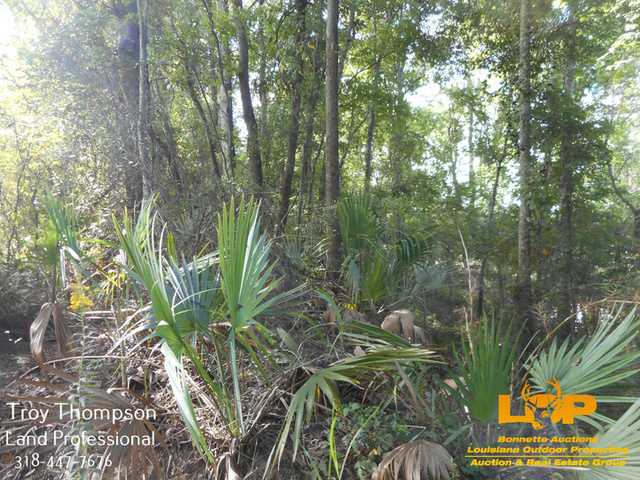 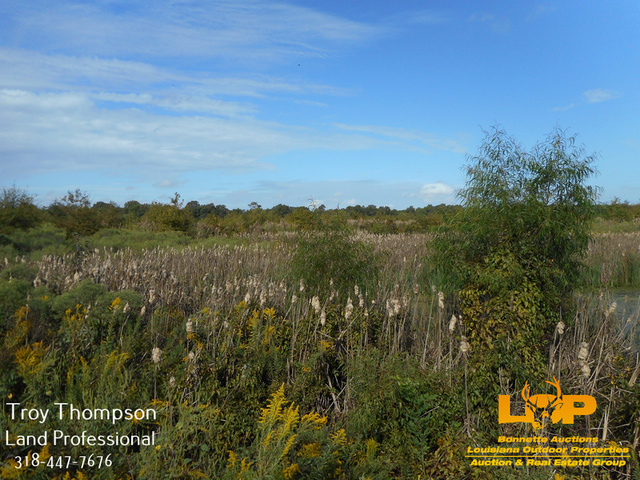 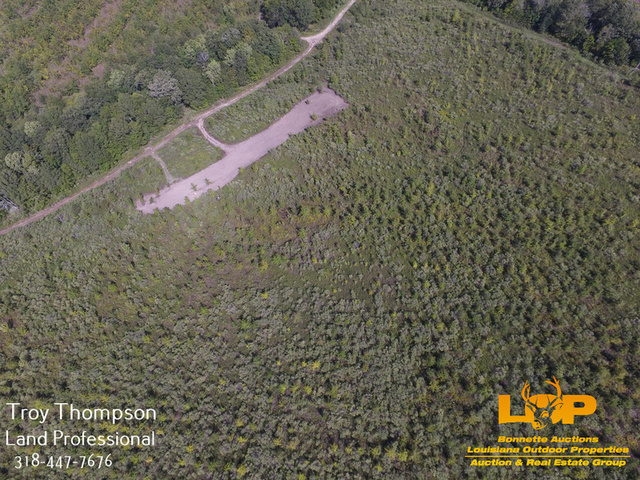 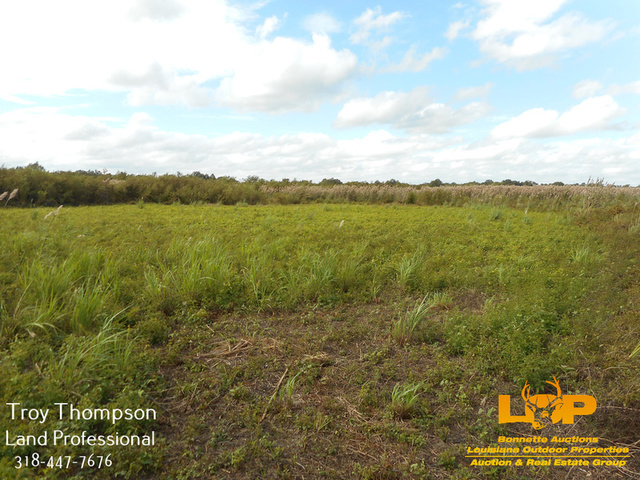 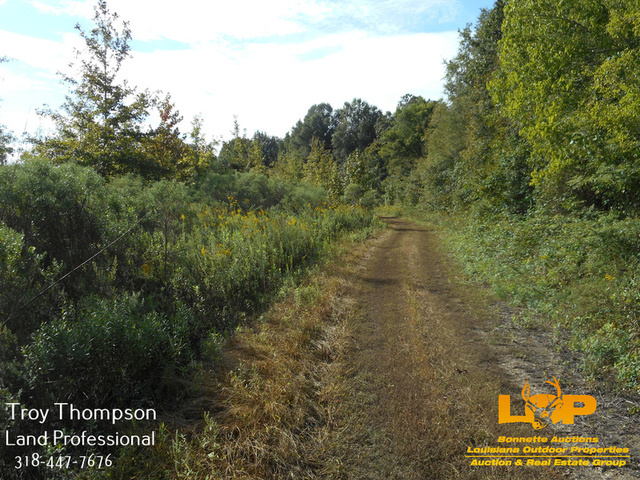 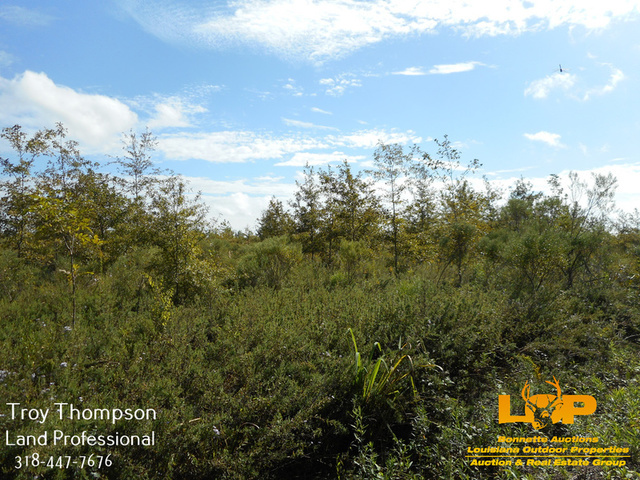 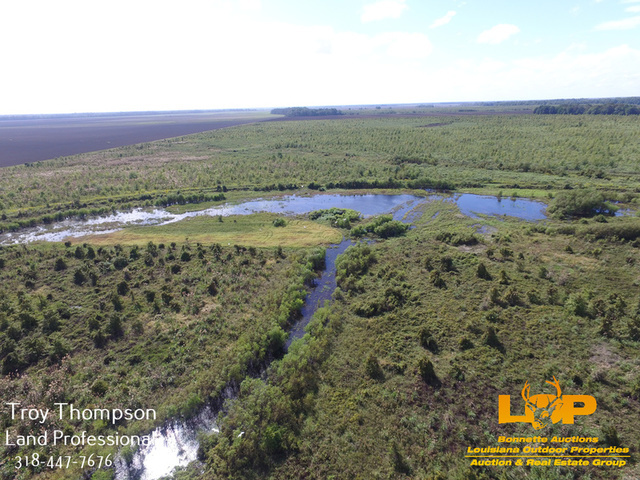 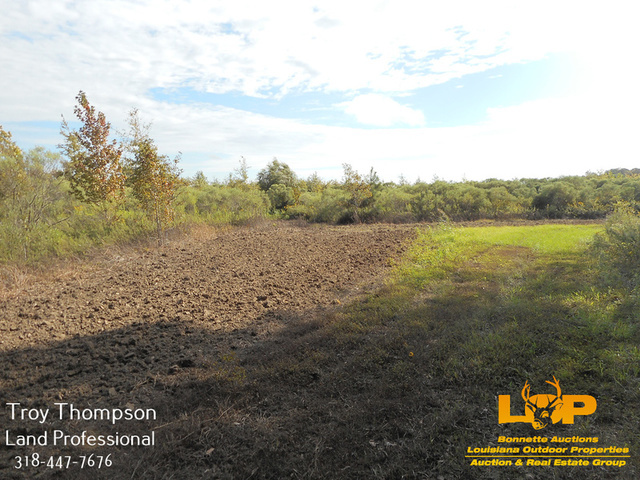 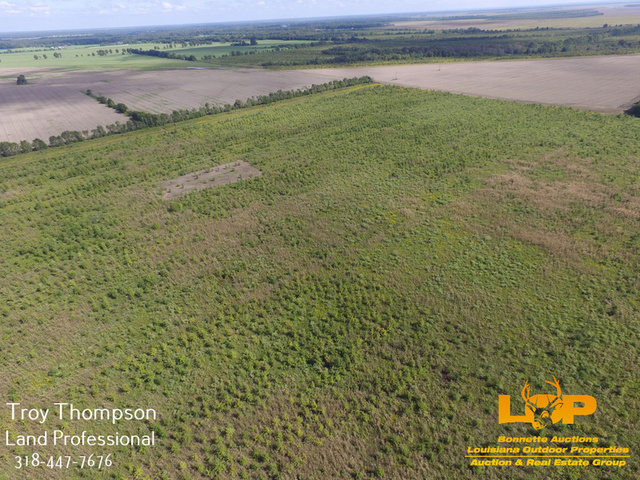 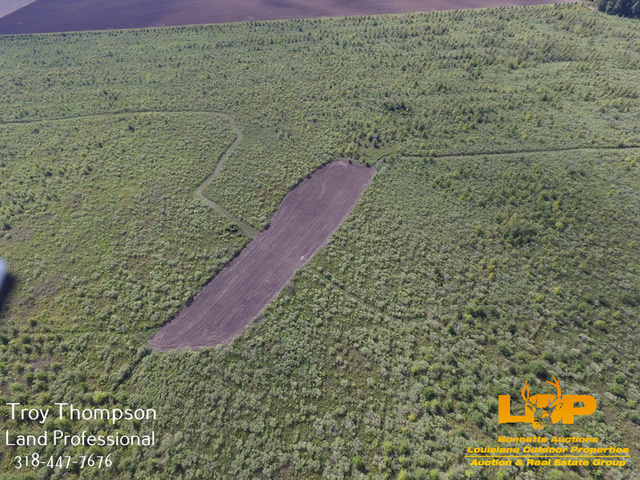 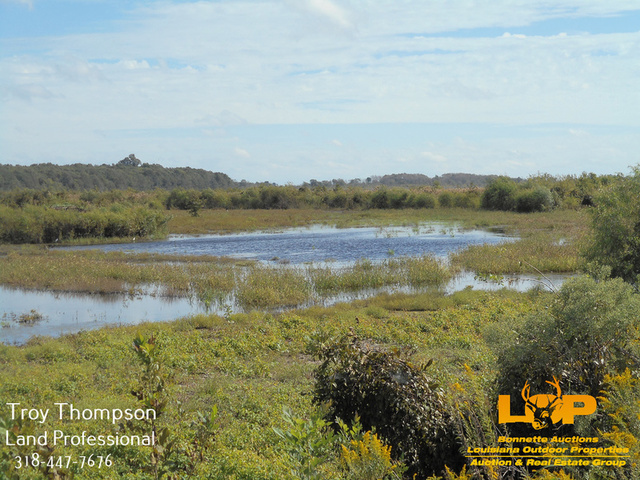 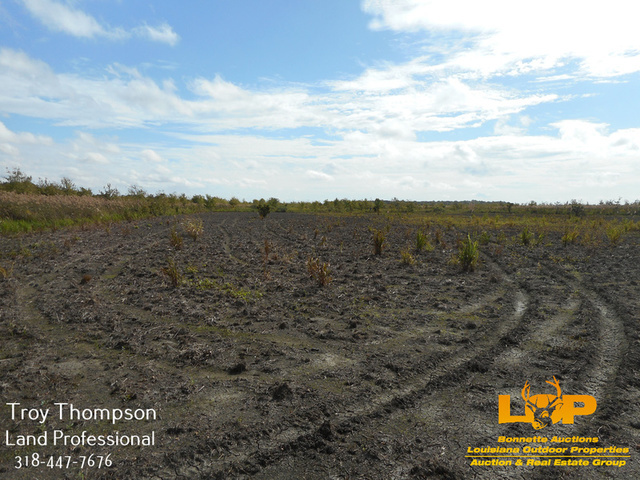 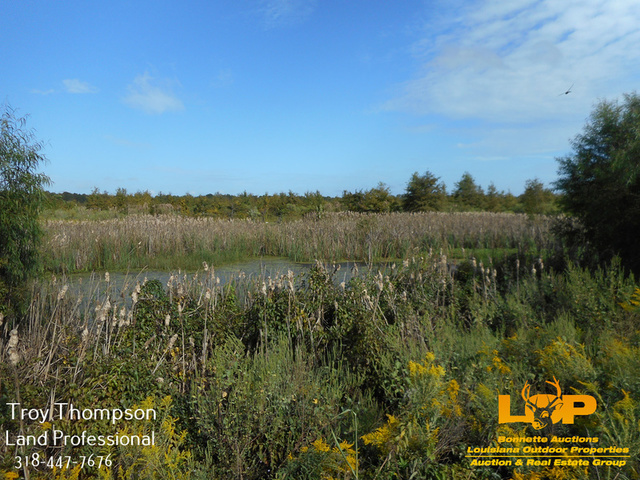 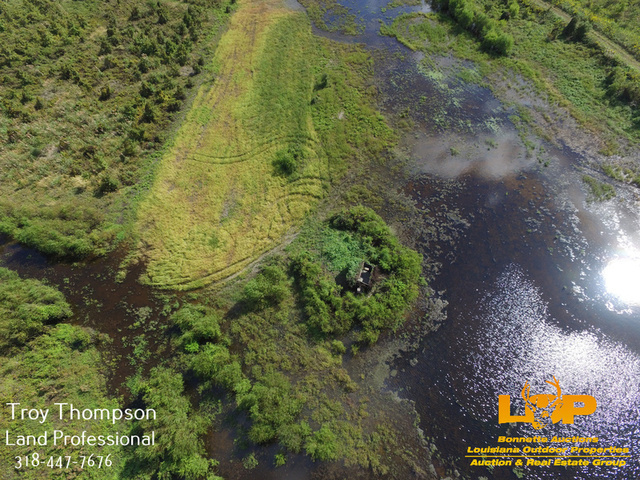 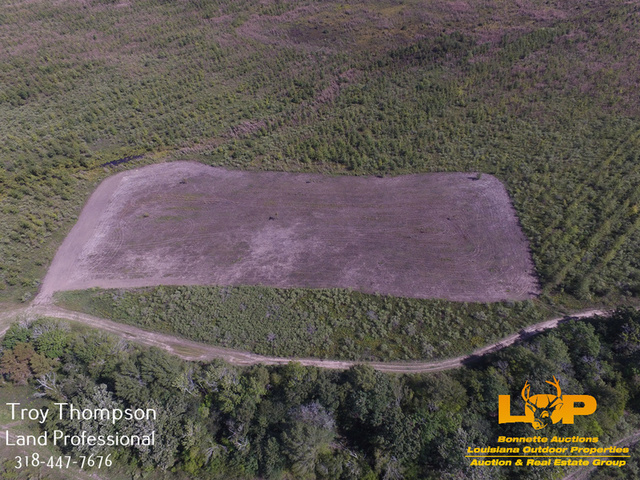 This deer and duck combination property would make an ideal family hunting tract, corporate retreat, and is big enough for a group also. 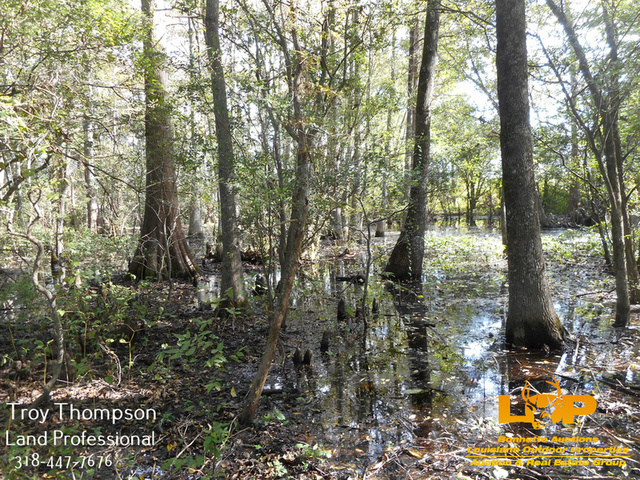 There are plenty of fishing opportunities in the off season within a short drive such as Black River Lake, Horseshoe Lake, Bayou Cocodrie, and the Deer Park Oxbow just to name a few. 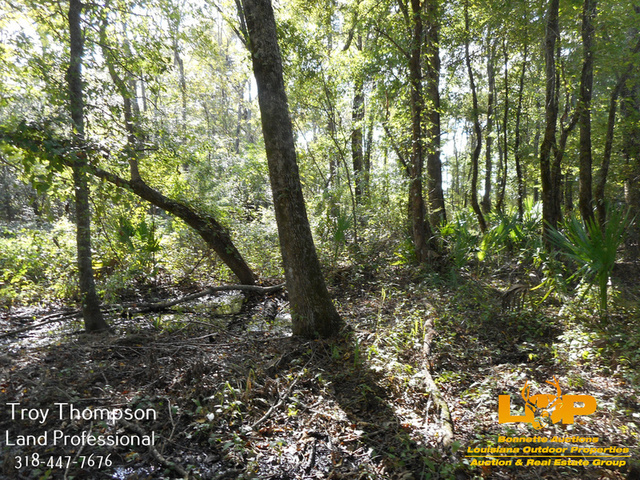 A campsite is included with the property and utilities are available. 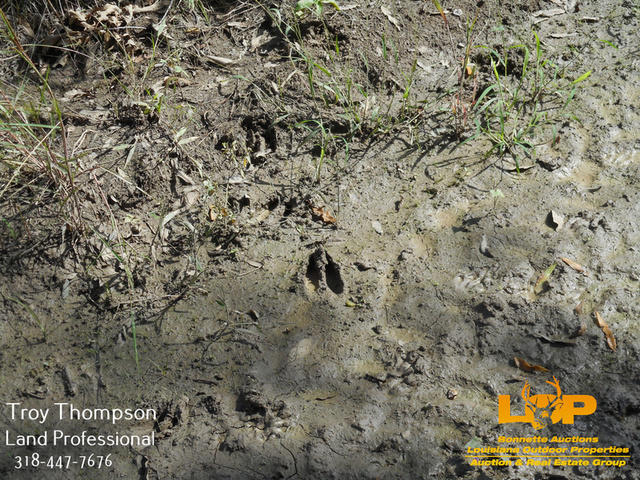 Don’t let this one slip by. 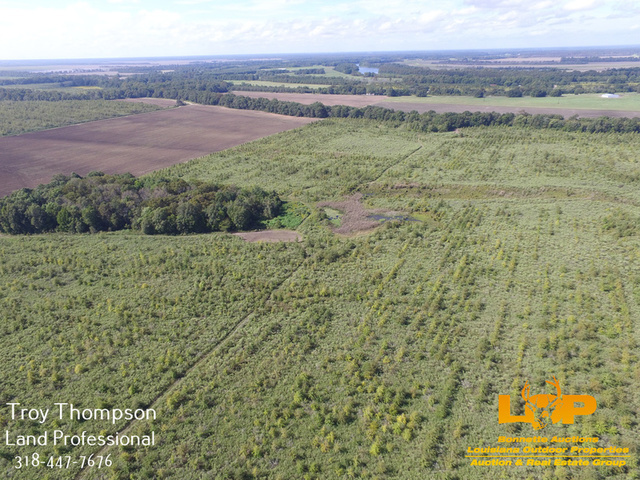 Asking price is $2250 an acre. 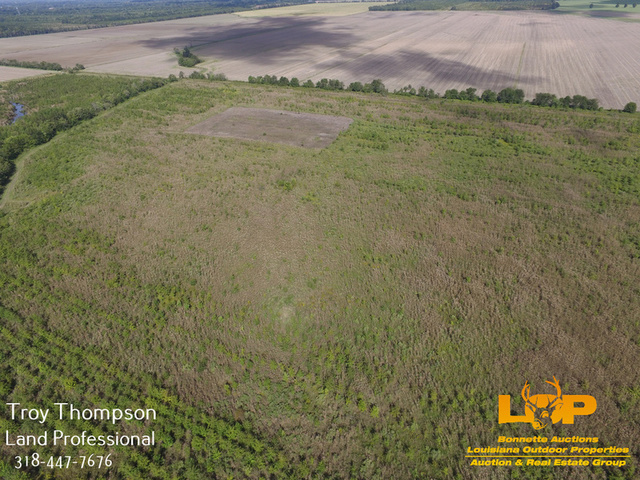 For more information or to schedule a showing call Troy Thompson at 318-447-7676 or Carl Foreman at 318-481-0092 or 318-876-2622.